This course will cover the basic technique of watercolor we are all known but seldom don't know the name of; wet-on-dry technique. 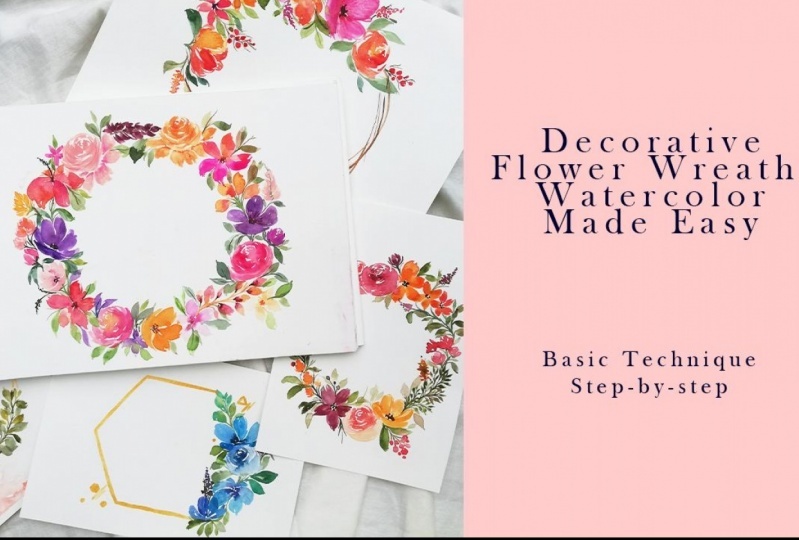 With relatively affordable materials, you can get started to create your own decorative flower wreath! This class is for everyone who enjoys pretty flowers and always dream about to make one but don't know where to start. In this class you will paint a beautiful flower wreath from scratch in under 60 minutes. By following each step carefully, it will help you to easily make your own flower wreath. - Understand to choose colors for your artwork. Looking forward to feedbacks! Thank you guys!